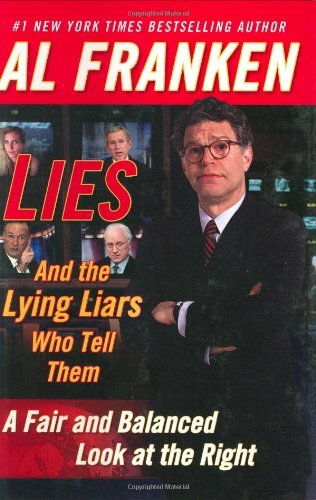 Been enjoying reading about the lawsuit Fox News filed against humorist Al Franken about the use of the words “Fair and Balanced” in the title of his book “Lies, and the Lying Liars Who Tell Them: A Fair and Balanced Look at the Right” (which has a great cover shot). "And by the way, a few months ago, I trademarked the word 'funny.' So when Fox calls me 'unfunny,' they're violating my trademark. I am seriously considering a countersuit"
If Ann Coulter can accuse liberals of the past 50 years of treason and treachery and receive a warm welcome on the 24 hour news circuit, Franken should be able to call Bill O’Reilly a liar and not face a lawsuit. And I still want to see his book review on spinsanity.org next to Coulter’s (and Moore’s), although Franken’s will unarguably be funnier.